A selection of Tudric pewter; made from 1902 into the 1930s in the Arts & Crafts style. 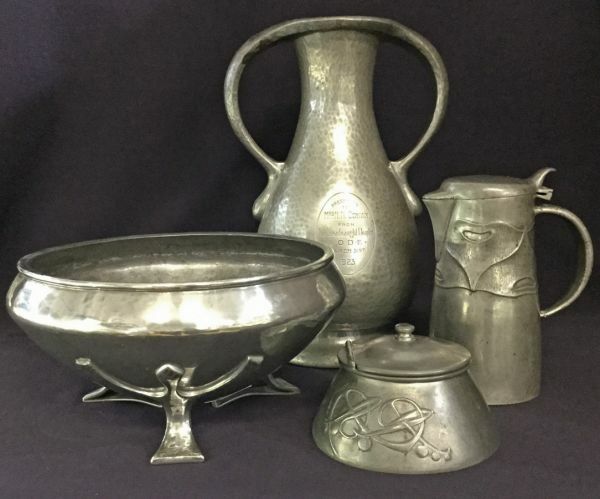 Tudric is the brand name of pewter made by W.H.Haseler’s of Birmingham for Liberty & Co. The principal designer was Archibald Knox. 3 footed bowl, #01128. 8” diameter, 4” high. $695. Trophy, #01224. Presentation engraving for 1923. 9 3/4 high, 6 1/2” across the handles. $595. Inkwell, #0653. 4 1/4” diameter, 2 3/4” high. $1095. 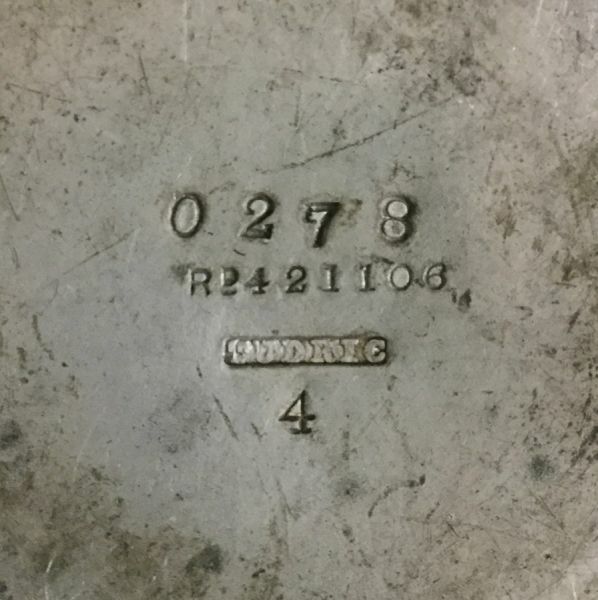 Syrup jug, #0278. 5 1/2” high, 4 1/2” across spout the handle. $695.